Second only to the Gazan border cities such as Sderot and Netivot in its vulnerability to rocket attacks, including the latest barrage of more than 180 fired on Israel today, Ashkelon has another claim to fame. It’s home to a rare diversity of publicly funded Chabad-run schools that cater to everyone from preschoolers with special needs to yeshivah and seminary students seeking to add high-tech wizardry and vocational preparation to Torahstudy. 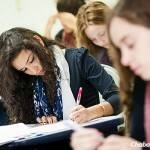 Despite the current barrage from Gaza and intensifying Israeli counter-strikes, Chabadschools throughout the city will open on schedule in coming weeks, administrators say, including a new yeshivah high school program for young men and a vocation-oriented seminary for women—programs that add to the city’s historic affinity for combining general and religious studies. Racheli Davidov, 19, will be one of the students entering the Chabad School of Architecture and Design to pursue a degree in architecture. 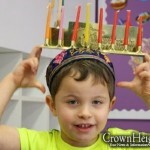 A graduate of the Chabad-run Ashkelon high school that will also be housed in a new building that is scheduled to open in October, Davidov is an observant Jew who has grown to enjoy a curriculum that mixes classes in Chassidus and other Torah subjects with courses leading to a degree. 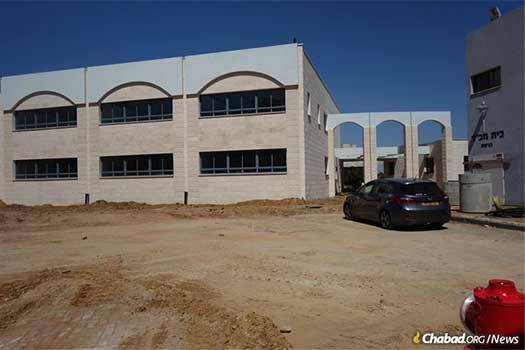 Ashkelon’s Shaarei Atid boys school for ninth- and 10th-graders also offers a curriculum of Torah study in the Chassidic tradition, in its case combined with electronics studies, and has done so for the past five years. 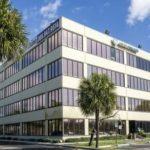 This year, the school will go even more high-tech in partnership with a subsidiary of Israel Military Industries, teaching Computer Numerical Control (CNC). CNC, used in many manufacturing areas, including the defense industry, operates machine tools such as mills, lathes, robots and grinders through computer commands. Rabbi Menachem Lieberman, director of Chabad-Lubavitch of Ashkelon for 38 years, is getting lots of calls about Israeli airstrikes and accompanying air-raid sirens, his city being less than a 20-minute drive from the Gaza border. But he was happy to talk instead about his explosive penchant for combining practical training with religious education, including the two new programs. Regarding upcoming school openings in his city for some 1,870 children amid heightened warfare and talk of evacuations by the military on Thursday, he said the safety of his community is only bolstered by education. “The answer to all of this escalation and terrorism is to grow in Torah and Jewish observance to strengthen our relationship to the land,” he said. The school for younger-grade high-schoolers, Shaarei Atid, is complemented by the existing Or Menachem Science Yeshiva for older-grade high-schoolers, which mixes a Torah-studies curriculum with courses in telecommunications, electronics and robotics. 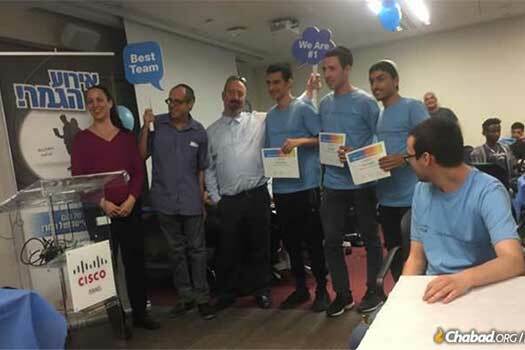 Leiberman was proud to report that Or Menachem students for the second consecutive year this past school season took first prize among more than 200 Israeli schools in a computing and telecommunications contest sponsored by the Israeli division of the multinational technology conglomerate, Cisco Systems. Lieberman’s now trademark innovative educational offerings began with the opening of his Shlavim school in 2008, which provided therapeutic classes and activities to mostly younger-grade children with behavioral and developmental issues. Among its aims is to help single-parent and underprivileged families, and families in distress. The school also serves as a therapeutic center for older kids attending other schools during the day. Chani Vilenkin, program director at the time of the center’s opening, summed up its uniqueness and the general sentiment about the niche that Lieberman strives to fill in all of his schools.